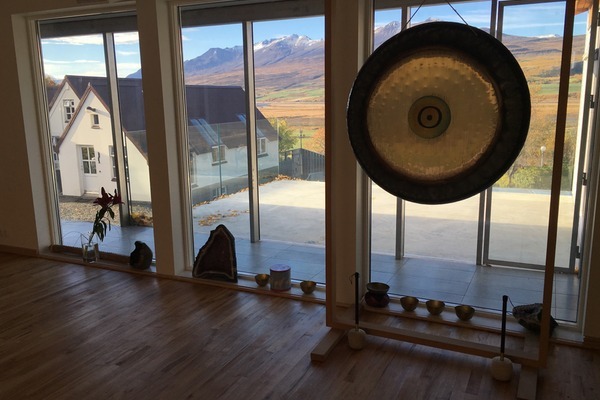 Join Laurie LeCompte and Meredith Conroy for a one of a kind yoga retreat in Northern Iceland. Akureyri, Iceland offers a beautiful backdrop with exciting excursions! 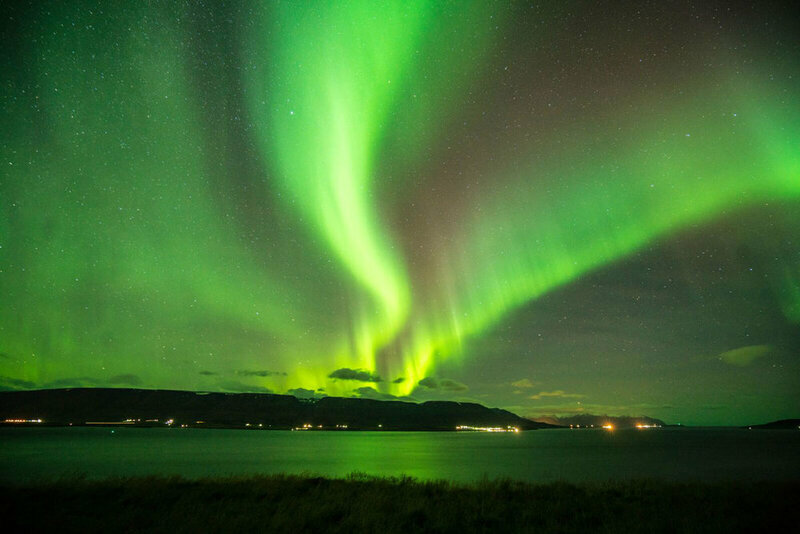 Participants will enjoy a daily yoga itinerary, as well as excursions that include a ferry ride to Hrisey Island, a walking tour of Akureyri, Icelandic horseriding, a full day adventure to the geothermic region of Myvatn, and more! This is a great time of year to see the Northern Lights, and over this seven-day period we will have a great chance of spotting them (with the help of our highly skilled hosts who are experts at tracking the best times and locations). Whale watching is also an optional excursion! The picturesque city of Akureyri, lovingly nicknamed the “Capital of the North” is the second largest urban area in Iceland after Reykjavik. Built alongside the fjord, Akureyri offers a mild climate and one-of-a-kind picturesque landscape. The shared apartments are some of the nicest in Akureyri and feature modern design, central temperature control, comfortable beds with down comforters, full kitchens and common living areas. The natural, pristine drinking water is straight from the tap and the piping hot water for the showers and Jacuzzi’s is tapped from below, heated by the Earth itself. The apartments are a 10-12 minute walk to the town center. Hotel KEA is located in the heart of Akureyri next to the iconic church of Akureyri with a view over the fjord. The hotel is walking distance from the town central with shops, cafes, restaurants and more, but it a little farther from the retreat center. A $500 non-refundable deposit reserves your spot in the retreat. The deposit will be applied to the total cost of the retreat. Rooms will be assigned on a first come, first served basis. There is a place in the deposit submission where you can specify which room you would like. Half of the total retreat cost is due by April 1st. Transportation from the hotel and apartments will be provided each morning at 8:45am to the Yoga Center, classes are from at 9:15 – 11:15am. Across the fjord you will find a historic landmark marked by a large stone and anchor marks the place where, according to Icelandic folklore, the Vikings originally landed in Iceland. On this beautiful property now lies Knarrarberg, the newly built wellness center where we will have our daily yoga classes. The center has a large yoga room, massage rooms and therapists, a meditation/relaxation hall, male/female showers, changing rooms, a large dry sauna and an outdoor geothermic jacuzzi. The yoga space is fully stocked with mats, blocks, straps and blankets. The wellness center overlooks the fjord and mountains and on a clear, dark night you can enjoy the stars and perhaps even glimpse the Northern Lights! Kaffi Ilmur is a centrally located restaurant operated by locals. Everyone can walk easily from their apartments and hotel to the town center to meet, then it’s a straight walk up to the left to the café. Breakfasts are provided at the hotels and at the apartments. Apartments will be stocked with a variety of items including coffee and teas, hot and cold cereals, dairy and non-dairy milk, juice, bread, eggs, cheese, fruits and nuts, etc. Lunches are provided at a local cafe or at the wellness center. Group dinners are included-- minus 2 nights in Akureyri. Typically there is one soup (vegetarian and normally dairy free), fresh breads, salad bar and 1 or 2 entrees. If you cannot eat something on the entree section, please ask the chef and she will offer you something. We will let them know in advance of those who are vegetarian and vegan, gluten and dairy free. The apartments and hotel are on the “town” side of the fjord in Akureyri (all within a few blocks of each other). The Wellness Center was built just on the other side of the fjord with quiet and amazing views. Each morning, vehicles stop by each lodging and pick people up for the 5-8 minute drive across the fjord for class. There's a lounge, hot teas, bathrooms, changing rooms and everything else you need there. After class, everyone is taken back to town for lunch (offered in a local café buffet style in a private space). The cafe is also close to all the lodgings. You will need standard European 2-prong plug converters. Bring warm layered clothes - light thermal underlayer, middle layer and water and windproof outer layer. Bring warm hats, gloves, and neck protection. There ARE shops in Akureyri and you’ll likely buy some lovely accessories, but if you need to buy pants or coats, the prices are much higher than in the US. Meredith still remembers her first time in a hot yoga studio and it was love at first sweat! Although she found yoga later in life, her background as a gymnast and University of Florida cheerleader prepared her for the physical challenges of hot yoga. 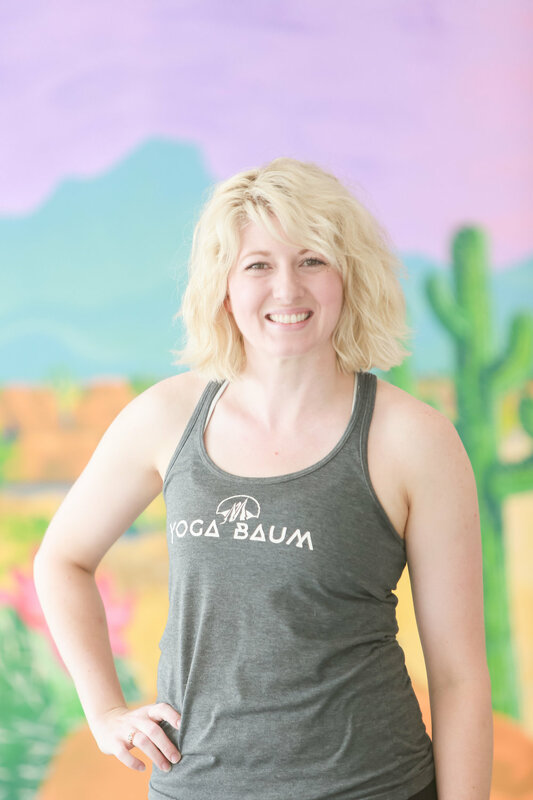 Early into her time in the hot room Meredith knew she had found her passion and was quickly discovering her desire to teach and share with students the amazing benefits of hot yoga. Those thoughts quickly turned to action as she took a leave of absence from her corporate job to travel to Brazil for a five-week intensive training in the Moksha Yoga practice. Upon her return to Kentucky she began teaching part-time developing her skills until she exited the nine-to-five world to do the work she truly loved – teaching yoga! 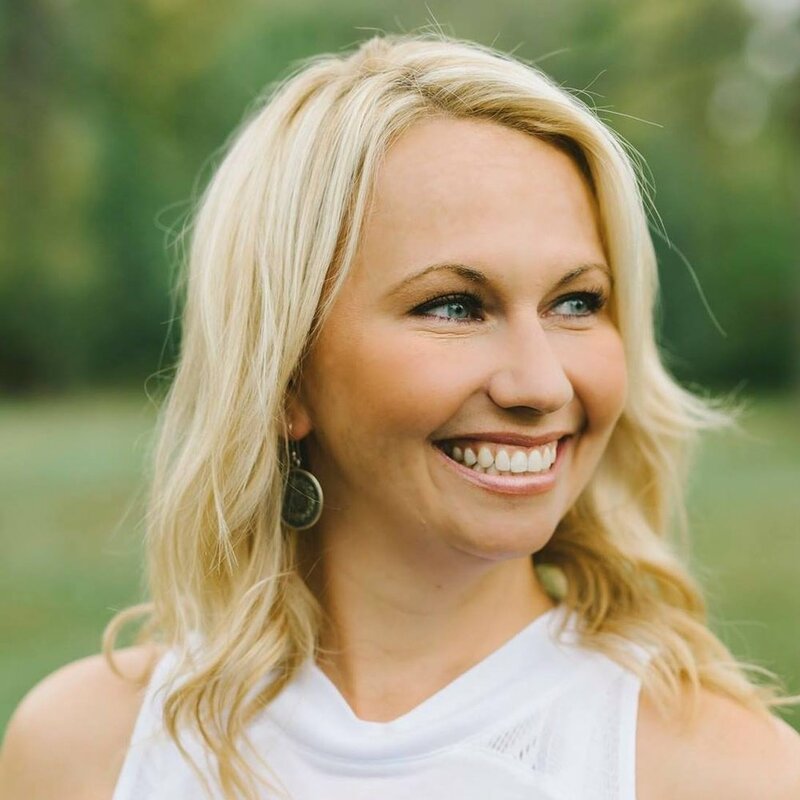 Meredith earned a Master’s in Counseling Psychology from the University of Louisville and this aspect of her background influences her teaching style and how she leads class. She knows that many students begin hot yoga for the physical results and stress relief, but a good class provides the opportunity to go deeper. Her goal is to support students who are ready and willing to shift out of an everyday state of mind and into one that enables internal exploration, learning and growth. Her teaching style is relaxed and joyful and her goal is to tailor each class to the individual and ensure every student leaves her class feeling better than they did when they came! Meredith’s clients have ranged from students with no yoga, or even much exercise experience, to professional athletes. Her philosophy is that yoga should be accessible to all levels of ability, from beginners to advanced practitioners and it is her intention to meet all students’ levels of ability in each and every class. Meredith is a partner at Bend and Zen Hot Yoga.